Marvel Television President Jeph Loeb recently held an AMA session on Reddit, where he confirmed some new details about the Marvel TV universe. 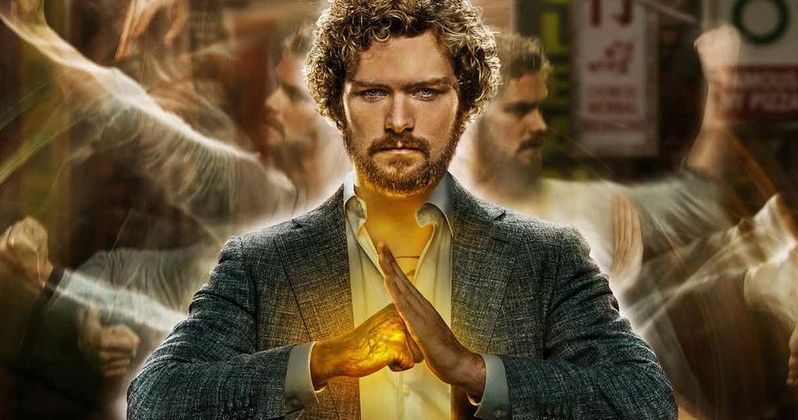 For one, he confirmed that Iron Fist season 2 will be arriving on Netflix sometime this year, although he confirmed some not-so-great news for fans of The Defenders, revealing that they have no plans for a second season. As for the Iron Fist news, that came in response to a fan asking if we'll finally get to see the iconic Iron Fist costume from the comics in Season 2. Here's what he had to say below in a brief response. "You'll be very happy with Season 2 coming this year!" The Iron Fist Season 2 renewal was announced at Comic-Con last year, and the last update we got on the show was last November, when it was revealed that Season 2 will start production in December 2017. Most of the Marvel Netflix shows take roughly six months to shoot, so it's possible that filming could be done on Iron Fist Season 2 by now. If that is the case, then it wouldn't be surprising to see the first trailer for Season 2 drop at Comic-Con this year, which is also likely when the Season 2 premiere date will be announced. As for the costume, Finn Jones, who plays Danny Rand/Iron Fist, hinted last May that the costume will be revealed in Season 2. When the Marvel/Netflix TV universe was first announced back in 2013, the streaming service had planned to debut all four shows, Daredevil, Jessica Jones, Luke Cage and Iron Fist all in the year 2015, but that never happened. These shows were to culminate with all four Hell's Kitchen heroes meeting and teaming up in The Defenders mini-series. Marvel/Netflix delivered on half of their promise, with Daredevil and Jessica Jones both debuting in 2015, followed by Luke Cage and Daredevil Season 2 in 2016 and Iron Fist, The Defenders and The Punisher spin-off in 2017. Loeb was asked multiple times if The Defenders will get a second season, and while it may happen some day, that day certainly will not be anytime soon. "Not in the plans right now, but you never know. We loved Defenders and so did our fans. We'll see about doing it again, as you can guess it messes with the schedules on other shows, so do you want more Daredevil, Luke Cage, Iron Fist, and Jessica Jones or another Defenders?" This news isn't terribly surprising, since Jessica Jones star Krysten Ritter revealed in March that she didn't think a second season of The Defenders will happen, but she would gladly come back if it happened. Jessica Jones Season 2 debuted back in March, with Luke Cage Season 2 slated to arrive on June 22. Daredevil Season 3 is also expected to debut sometime this year, but a specific premiere date has not yet been given, although that may be unveiled at Comic-Con as well. You can head over to Reddit to delve through the entire Jeph Loeb AMA that took place yesterday.